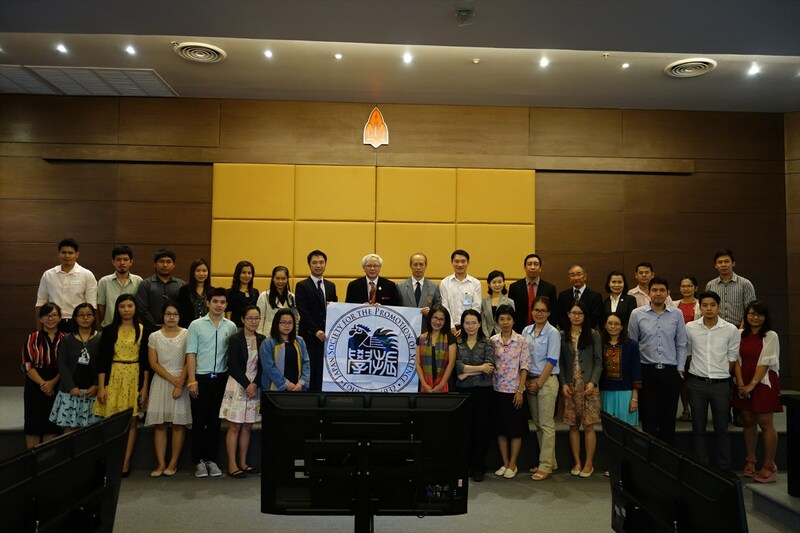 Following the visit to Mahasarakham University, JSPS Bangkok Office organized a program briefing at Khon Kaen University on 12 November 2014 as a part of “Japan Education Fair”. Khon Kaen University is one of the leading universities in north east Thailand with 50-year history. Selected as one of 9 research universities in Thailand by Ministry of Education, the University emphasizes research activities, such as joining 2 JSPS Core-to-Core projects conducted by Kyoto University and University of Occupational and Environmental Health respectively. Firstly, Japanese delegates including embassy and universities are welcomed by Dr. Denpong Soodphakdee, Vice President for academic and information technology and representatives from all faculties. 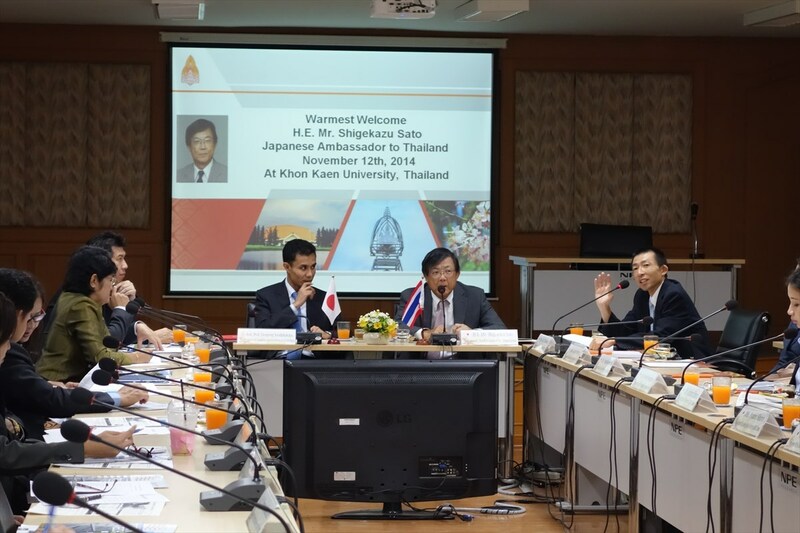 Both sides discussed how to enhance the collaboration between Japanese and Thai universities including establishment of double degree programs and student exchange schemes. 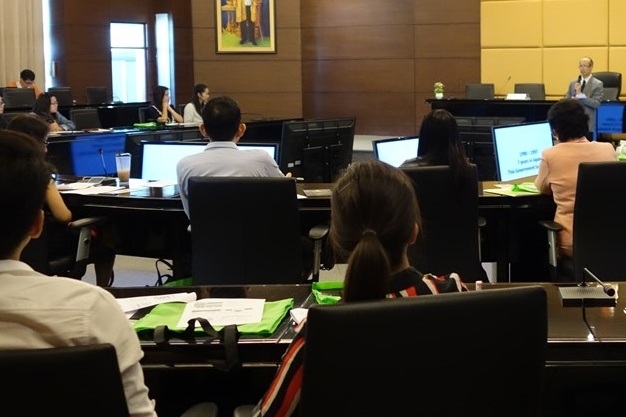 Following the meeting with Khon Kaen University representatives, JSPS guidance seminar was convened with almost 40 participants. Assoc. 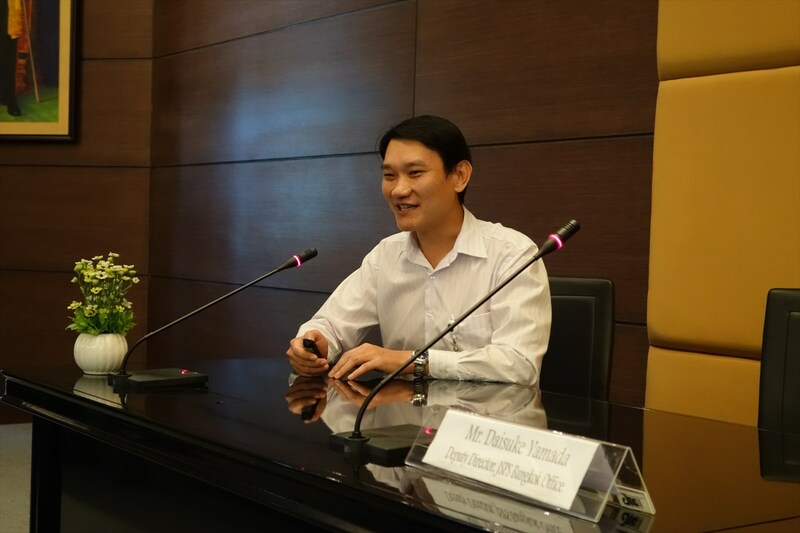 Prof. Kittisak Sawanyawisuth, regional representative of JSPS Alumni Association of Thailand greatly supported to coordinate the seminar. Assoc. 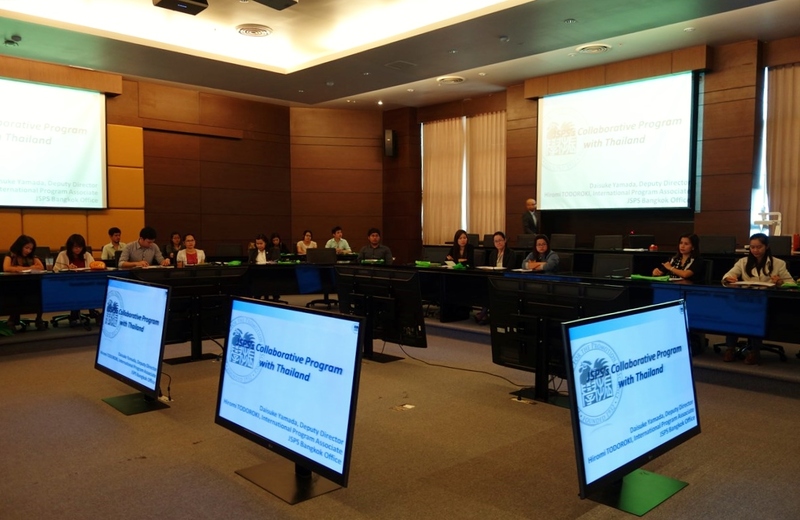 Prof. Thawalwong Ratanasiri, Vice President for international relations and cooperation strategy kicked off the session with opening remarks and Bangkok office explained JSPS’s program menu. The session also featured 3 speakers from Khon Kaen University. Assoc. 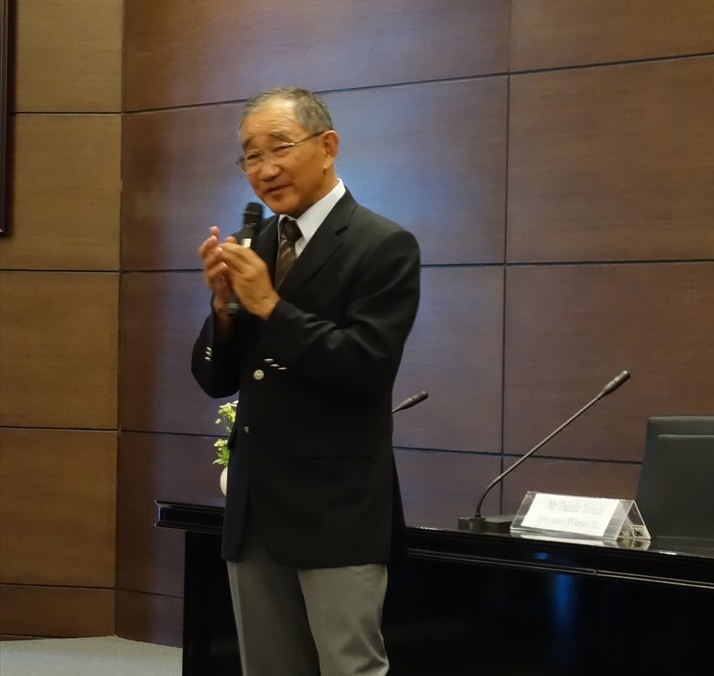 Prof. Kittisak made a speech on his experience as a RONPAKU fellow by explaining why he chose to conduct research in Japan, how he identified his supervisor and his active career after successfully obtained PhD degree. The second speaker is Assoc. 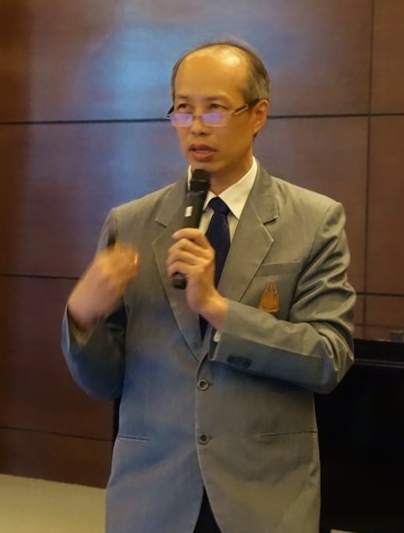 Prof. Sakda Daduang, who studied in the University of Tokyo under the support of Thai government scholarship during his bachelor to doctoral degree and then was invited to Osaka University as a JSPS fellow. He talked about his life in Japan as a student and a researcher including his suffer from hay fever and variety of part-time jobs. His humorous speech attracted many audience. Lastly, Dr. Yukifumi Nawa, consultant for research affairs faculty of medicine, also a former Vice President of Miyazaki University made a speech on how to apply for JSPS programs. Having invited and supervised many oversea researchers when he was a faculty member of Japanese universities, Dr. Nawa advised participants how to find out their host researchers and write a persuasive proposal. He also emphasized the importance of publication of papers for international journals and participation in international academic conferences. Thanks to the 3 speakers, the briefing session was very informative, providing specific advice for researchers in Khon Kaen University.